The Ford F-150 has been redesigned for you; and it’s now more robust than ever before! The 2018 Ford F-150 XLT trim level is the perfect combination of sophistication and power in an affordable package. If you are looking for a truck with charm and strength then you are looking for the 2018 Ford F-150 XLT. Visit our Edmonton-based dealership today to take the newest XLT for a test drive, along with any other model or year of Ford F-150! The 2018 Ford F-150 XLT model comes in multiple body styles and packages to give you more variety to choose from. The body styles available are the Regular Cab, SuperCab, and SuperCrew. The Regular Cab has two doors and it can fit up to three people (including the driver). The SuperCar and the SuperCrew Cab, on the other hand, have four doors and six seats. However, the rear doors on the SuperCab are rear-hinged to allow passengers to get in the truck easily. The SuperCrew Cab model is designed for more comfort and more towing capacity. Furthermore, there are distinct types of packages that come standard or that can be purchased with the XLT model. Please refer to the table below to see the different features available with each package. While driving in your 2018 Ford F-150 XLT, you are guaranteed to be comfortable and entertained. The available 4.2-inch productivity screen offers a wide range of information about navigation, transmission, oil, fuel and much more. Meanwhile a 110-volt power inverter is on hand to charge all your tools, as well as a pair of 12-volt outlets. In case you need more cargo room, there is a fully flat load floor available with the SuperCab, and SuperCrew Cab models. You are sure then to have enough space to carry all the tools and other devices you may need for your job. There’s even the class-exclusive BoxLink system which includes a quartet of interface plates in the bed so you can easily tie down all manner of cargo. Every year Ford improves the Ford F-150, making it more sophisticated and adding newer technology features. The 2018 Ford F-150 XLT now comes with goodies like an eight-way power-adjustable driver’s seat, power-adjustable pedals, and a seven-speaker audio system with satellite radio. Towing your trailer has also been made easier with the installation of the rear view camera with a Dynamic Hitch Assist system. You can even warm up your vehicle right from the comfort of your house with the remote start system. To learn more about the 2018 F-150 XLT, or take it for a test drive, then visit our Edmonton-based dealership today!  We carry plenty of brand-new F-150’s in our New Vehicle Inventory, as well as lightly used examples in our Pre-Owned Inventory.